Wanderlust was much more than an audiobook. It was a lovely romantic adventure. I’ve never given a lot of thought to Paris—knowing I’ll never visit—but Lauren Blakely’s descriptions of the Paris that Joy and Griffin adored charmed me immensely. Richard Armitage performed his first contemporary romance so dreamily! And Grace Grant was fabulous, as usual. 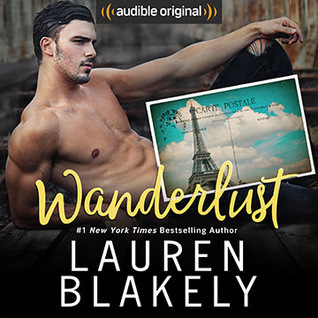 I’m so glad to have found Wanderlust, and that it was available to listen to as part of the Audible Romance Package. Sign into Goodreads to see if any of your friends have read Wanderlust. Thanks, Cat! I’m curious, how did you find it? Why would you never visit?